Pregnancy Tea is recommended for use during the entire pregnancy. (Pregnancy Tea Plus Tincture is recommended for the last six weeks.) 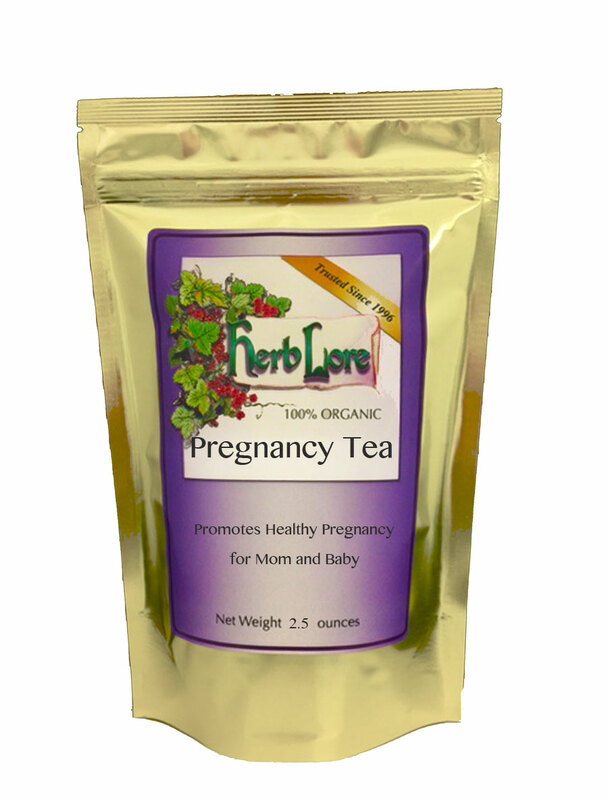 Pregnancy Tea Tincture is the exact same combination of herbs as the tea - just in the liquid extract form. Helpful Hint: Ice chips made from the tea provides nutrition and fluids to the new mother during labor. Adding a bit of honey provides extra energy. Herb Lore's teas are bulk teas. You can make a large pot to drink from during the day, or you can use a tea ball infuser to make it by the individual cup.